American Apparel seem to have well and truly put its scantily-clad advertising past behind it – especially if its latest model is anything to go by. Instead of pouty girls in boy shorts (or even vogueing teen diva Brendan), its new campaign star is... A three-toed sloth. Seriously. 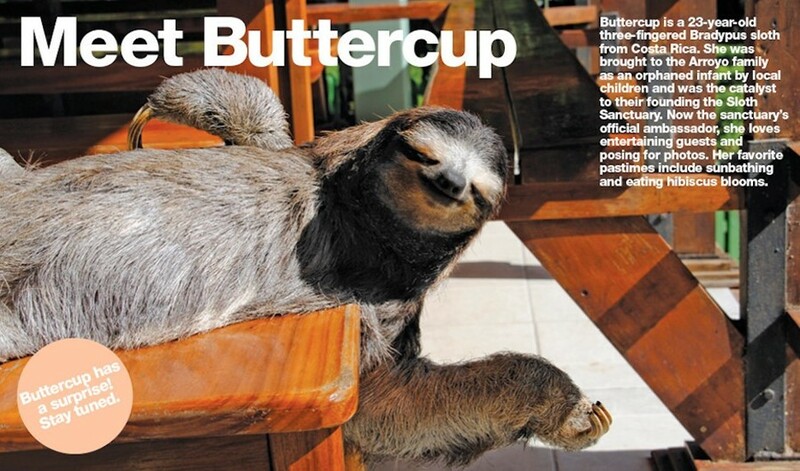 "Meet Buttercup," the advert reads above a shot of Buttercup poised seductively on a table. 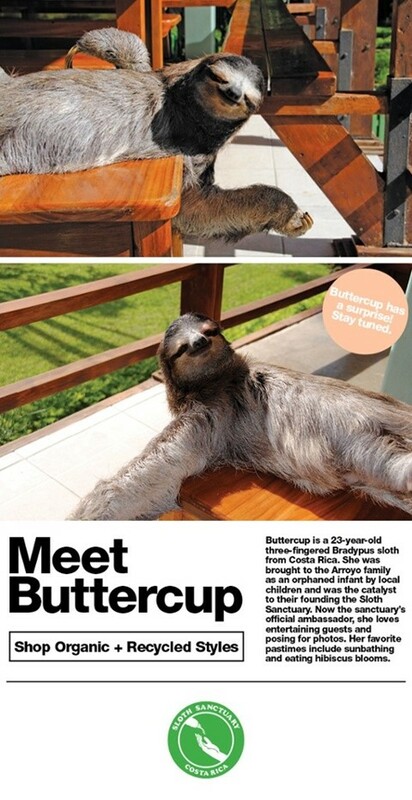 "Buttercup is a 23-year-old three-fingered Bradypus sloth from Costa Rica." "She was brought to the Arroyo family as an orphaned infant by local children and was the catalyst to their founding the Sloth Sanctuary… Her favourite pastimes include sunbathing and eating hibiscus blooms." American Apparel has tried its best to move on from the dismissal of its CEO and founder Dov Charney, including appointing a female board director and changing its racy campaign strategy. Its new CEO, Paula Schneider, said that a more covered-up approach was part of a bigger advertising plan. "It doesn’t have to be overtly sexual,” Schneider told Business of Fashion. "There’s a way to tell our story where it’s not offensive. It is an edgy brand. And it will continue to be an edgy brand."